Get ready for one of the most extensive online guides on how to sell stock photos & earn money in 2018. Learn how to sell, where to sell, what to sell, and how much you can expect to earn with your stock photos (Plus: bonus content showing real case studies & tips from pro stock photographers!). As an aspiring microstock photographer, you must have some huge questions in your mind. Let me assure you that as a micro-stock photographer you will have ample chances to learn as you go that is if you don’t get frustrated by the initial rejections. On the flip side, however, you have the opportunity to start making money from the very beginning, something that traditional commercial photography avenues don’t offer. In traditional commercial photography, you have to go through the grind before you have any clients. You compete with established professionals with years of experience and strong, impressive portfolios. In microstock photography, however, the playing field is much evener. Regardless of your experience and portfolio, you can compete with skilled professionals and still hope to make some sales. You should not try to copy their work. Copying work done by other photographers seems like an easy way to success, but it is not. It can, on the contrary, get you into a lot of trouble. Getting overawed is probably natural too. After all, these photographers are professionals, and they know their craft well and produce stunning images. At your level, it may not be that easy to start taking pictures of the same caliber. I do not doubt your abilities. But there is a certain thing called experience, and that counts. However, as you grow, you will only get better, and in no time you will start to shoot images of the same caliber. Thus, what you should do is get inspired by the work of other photographers (some samples will follow below in this post). Then again, you don’t have to be the best photographer under the sun to be able to shoot stock. Many photographers probably shoot half as good as you and have more than 1,000 images on their microstock portfolios. Much of your success as a stock photographer depends on selecting the right stock photography platforms. the target audience (customers) of the platform. Microstock websites can be notorious when it comes to sharing the spoils. While commission rates of 30 percent are not entirely unheard of (Adobe Stock started off with a 33 percent commission rate), this is something that is unacceptable in the long run. You should aim for a forty percent commission rate when selling your stock photos on some of the best microstock sites. Most microstock agencies offer a tiered commission rate, which means once you have X quantity of images sold and or hit X percentage of approval rate (for images submitted) you enjoy a higher commission rate. Some microstock websites also offer you the chance to go exclusive at that time. However, as a beginner, you simply don’t have a choice but to attempt at the top cream of the crop. Shutterstock is one of the largest microstock platforms out there, the king of that jungle being Getty Images. Though Getty (iStock) has a much more significant presence beyond microstock, Shutterstock till recently was one of the most popular destinations for contributors the world over. 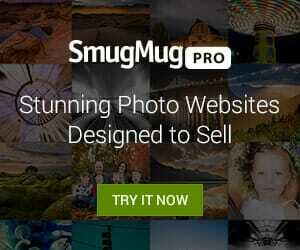 With top contributors moving their images out of the platform they have seen a drop in both sales and popularity. However, it is undeniably still one of the largest in the business and deserves mention. To get into Shutterstock, you will need to register with them and then upload no more or less than 10 of your best images. The initial review of these ten images can take anywhere between 7-10 business days. If even one of your images is accepted, you can go ahead and submit more pictures. Don’t give up if all your entire ten images are rejected the first time. Make sure your pictures are not over or underexposed or unsharp and upload ten new pictures in the next round. If none of your images are approved, then there will be a waiting period before you can attempt to upload your next ten pictures and repeat the review process. Post the merger with Adobe, Fotolia has remained an independent entity though it has benefitted greatly from Adobe’s deep pockets. In terms of advertising, Fotolia is well advertised, often too well advertised, and that is always a good thing for contributors. However, it does not always translate into higher profitability. Fotolia’s commission rates are good. You start off with a commission rate of 20 percent for non-exclusive images and hope to get up to 46 percent. For exclusive sales, you get 35 percent to start off going all the way to 63 percent. iStockphoto is one of the biggest and most popular microstock channels where you can upload your images for sale. iStockphoto was purchased by Getty Images leading much of Getty’s software innovations to be integrated with iStock. To apply to iStockphoto, you will need to pass a test. It’s a test of your understanding of the legal and quality aspects that go into making stock photos. It’s not difficult to pass the test if you have done your homework. Once you pass the test, you will be asked to upload your government-issued photo ID and three images for review. iStockphoto inspectors will examine your first three images before deciding to approve you as a contributor. Pond5 became the largest video footage seller by offering outstanding features to both contributors and sellers, e.g. contributors can set their own price and the payout is always 50% (that’s a pretty good cut). If your image is not perfectly sharp or is a bit noisy, try to downsize the image. This can help prevent technical problems. See all Pond5 image quality requirements. After becoming the leader in video footage, Pond5 opened up for photographers and included stock photography and vector graphics (with the same commission structure of 50%). When Adobe acquired Fotolia, it merged an already established microstock platform with the world’s leading photo editing application suite. Everyone, even those remotely associated with the micro-stock industry, rightly believed that Adobe was going to merge its photo and video editing applications and make it not only possible for advertising professionals to download from a vast repository of images and stock footages but also the reverse; i.e., photographers to upload their finished products. The merger was a win-win situation for Adobe and the parties who would use the platform. It made perfect sense and holds the promise for curtailing the workload involved in finding and using stock images on one side and selling them on the other. However, what made top stock photographers avoid Adobe Stock was their poor commission rate of 33 percent. To start out, it might make sense to photographers who believe it is all about numbers: the higher the number of images accepted into the system the better the chances of making higher sales. Adobe’s pick to buy wasn’t the best to start off. In real-world sense and speaking eloquently, Fotolia’s repository of images is not the best in the world. The biggest bane of the platform, however, is also one of its major USP. With the ability to submit images in a single click there is no telling what kind of junk would flow through and the workload that it would mean for the editors. This means overall Adobe Stock will not be the primary resource for buyers of high-quality stock images. How Long Does it Take to Make Money with Stock Photography? Let’s get right down to the business. Stock photography can be a frustrating endeavor if you enter it with a short-term goal. If you think you can upload the images from your last vacation trip and make a few hundred dollars by the end of the month; you have another thing coming. You could end up making no sales at all! Worse, all your images could get rejected for technical reasons. The first rule of stock photography is that your images have to be good in all respects. Even before you can think of uploading to a microstock website you have to ensure that your images are fundamentally good ones. How Much Can You Make with Stock Photography? It depends on Image Quantity & Quality. You cannot hope to make money selling images that are technically either weak compositions or reflect incorrect exposure settings, resulting in lost details, or have been improperly post-processed leading to noise and image artifacts (e.g. blotchy-looking skies, banding within vignettes or steps appearing on curved lines and edges). Think long term if you are genuinely interested in making money selling stock. There are a million different parameters that govern how much or how little you can make. The consensus on the Internet is very negative. Somehow photographers feel stock photography no longer works. In that case, what are the advertising world, publishers, blogs, and websites using? Stock photos sell, they still do; the only thing is you have more competition to ward off than you did about ten years ago. But think of the positive side. With the advent of the Internet, there is a much larger market for stock photos than there used to be. With the popularity and acceptance of microstock websites as a viable resource for licensing images, even part-time photographers, teachers, business executives, traveling salespeople, engineers and anybody else even remotely unassociated with photography has a second source of income. Slowly build up your portfolio, and you are likely going to have a much better experience. The key to success in stock photography is to have a disciplined, persistent approach and substantial research to back your efforts. Remember, with stock photography, the more images you have in your portfolio, the higher the amount of money you can potentially make over time. It’s like the snowball effect. Soon you will find that your business is funding itself. If you look at successful stock photographers, most have started early and have several thousand photos in their portfolio by their early thirties. It is the result of many years of persistent hard work. It is not entirely unheard of that photographers has left the scene frustrated at how slow sales are and how little they make on a monthly basis. When you start selling stock photos online think big. But don’t expect significant financial returns during the first months. Expect to put in years of continuous contribution to microstock sites so see a great financial reward. It depends on how many images you have in your portfolio. It depends on how well keyworded your images are. It certainly depends on how well researched your subjects are and how closely they represent the clients’ demands. It depends, too, on how serious you are about stock photography. Some photographers use this avenue as a complementary source of revenue, not the only. Others find it difficult to deny the urge and absorb this into their life. So, opinions and experiences tend to differ wildly. If you want to shoot stock, have faith in your abilities and do your homework well. It will certainly help if you have the right gear and the right post-processing tools. if it is a royalty-free or a rights-managed image. On average, however, the earnings per download is around $1. So to reach your first $1,000 you need to have 1,000 downloads. You can reach 1,000 downloads with only one picture. But that is very unlikely, especially if you are a beginner stock photographer. So aim for at least 200 to 300 good quality images, which will be approved by stock photography sites. With an average of four downloads per image, you will make your first $1,000. You should make some 500 good quality and different images considering that the stock photography sites may not accept some pictures. How fast you can make 500 images of interesting objects/models is up to you. You could do it within a month if you are doing it full time or during one year if you just do some shots during the weekends and few hours of editing in your spare time. Note: The above calculation is just a rough calculation and you have some images may selling more than 300 times, and some will not sell at all. At some microstock sites, you will only receive $0.3 per download and at others $2. So, keep track of your metrics (e.g. Excel Sheet), check on a regular basis what works well and then repeat whatever works best. Your biggest source of ideas are undoubtedly the market research data that the stock companies will send out to you periodically. These are of immense help. Of course, you are free to do parallel research and come up with ideas of your own. Relying on the market research that has been done by the stock companies is sensible because these companies spend a lot of time and energy in coming up with these. Follow Stock Photography Trends (e.g. 2017: Nostalgia +213% – It’s a time to revisit and rework the iconography of the last decades. Think crazy patterns, vintage charm, and childhood favorites). These researchers often give you an insight into what the market is going to demand in about six months or over an even longer timeframe. Thus, they will be able to tell you in advance what to shoot and plan for. The stock photo market is a highly competitive one, and microstock companies want to be able to stay on top of the demand curve with relevant & new submissions from their contributors. Tip: You can check out Shutter Stock Trends 2018 or just type “Stock Photography Trends” in Google, and you will find the valuable information provided by different stock photography sites. If you look at a few lists of top selling images released by microstock companies you can make a few conclusions quite quickly. Though not in the same league as the great Yuri Arcurs himself, Stefan Holm is an accomplished stock photographer who has over 3,800 images on Shutterstock.com. He’s been a member of Shutterstock.com since 2011. Some of his images have been downloaded well over 400 times. His best quote for inspiring fellow stock photographers? Stock photography is not a sprint it is a marathon. Holm says, yes it does. When he started off, it was much like anybody else: slow. Today, however, sales from his uploaded images pay off his rent in Stockholm as well as the cost of some of his new gear. What are his bestselling pictures? Some of Holm’s bestselling images include an image of cattle grazing during sunset. It’s a classic golden hour image with slightly washed out highlights but nevertheless looking rather attractive. Another of his bestselling images is that of a horserace moment frozen in time. The horses are charging toward the finish line with their jockeys urging them on. Many of his images are from the world of sports, though the shots are widely disbursed between different sports. Another example is that of Mykyta Starychenko, who is popularly known as Nick. Nick is an NY based photographer who is into fashion, product, lifestyle, wedding, and stock photography. He is one of those photographers who believe in the principle of doing it in the camera, rather than leaving it later for post-processing. He is a successful stock photographer with some of his images having been downloaded well over 1,000 times and earning him more than $1K each. More about Nick: Mykyta Starychenko (or just Nick) is a photographer based in New York, USA. He is doing fashion, product, lifestyle, wedding, event, and stock photography shots. You can see more pictures at his 500px profile. Stock photography is a very competitive business with its rules, requirements, and style, so you have to take it seriously if you want to be successful. You will have to use a variety of instruments like in any other business. I think it is a minuscule piece of art in stock photography, most of the bestsellers photos are very simple, but that does not mean that they are not professional. Conversely, they are excellent in 100 percent of technical requirements. I also worked as a fashion photographer, and in fashion, you can do a little bit blurry, overexposed shots at high ISO. You can say something like, “It’s my vision, ” and the client or editor will like it, and you will get your photos published even if all others will not like your pics. In stock photography, however, your success depends on the global market, and your only feedback in this world is your sales. I like stock photography because it has easy and understandable standards. You have to take a technically perfect shot of a good idea with the possibility of commercial usage of a variety of areas, sign model or property release (if it’s necessary), do post production in Photoshop, pass stock inspectors, and that’s it. All other things depend on the market. 1. Forget about ISO higher than 640. Inspectors will reject ninety-nine percent of photos because of noise. Always shoot at ISO 100-200. 2. Sharpness is crucial. Use a tripod, monopod, good lenses, stabilization, use the breath holding technic to make your shots sharper. Forget about Photoshop; you will never manage to sharpen blurred pictures. 3. Avoid trademarks. Sometimes it is easier to send a model home to get other outfits without trademarks instead of changing this in hundreds of photos in Photoshop. 4. Don’t be scared to ask a model to sign a release even after shooting (even for photos you did not make for microstock sites). Most of the people will like the opportunity to be in advertising. It can be fun for them and help you make extra money. 5. Quality, not quantity. For example: if you did 100 pictures of a woman cooking, do not submit all of them. Select 4-5 different poses of the woman, post-process the images well, spend time writing relevant keywords and everything will be great. 6. Write keywords in Photoshop or Lightroom before saving them. It will save you a lot of time. Take the time to write the right keywords because they are imperative. 7. Try to find themes with high demand. It can be new technologies or new products and services. Don’t spend your time shooting the sky or flowers. You can make great shots, but the market is full of great shots in common themes. 8. Don’t give up and be patient! You probably won’t make big money after few months because even a good picture needs some time to take their place in the market. 9. In the beginning focus on a few stock website: Shutterstock, iStock, Fotolia. They will help you to learn, and you will not be disappointed with sales. After you have 300-500 images in your portfolio try to work with Dreamstime, Depositphotos, and Canstock. 10. Do not use many filters in Photoshop. Usually, designers of advertisement companies look for your photos, so if they need to add some extra to your photo they can do that, but they cannot remove heavy post-postproduction. Leave some space in your photos for text and keep them natural. My girlfriend drank coffee at home and I just asked her to fix her arms for a second and took this shoot. Studio portraits of myself in casual clothes combined into collage and isolated. This picture was taken during my vacation in Dubai, UAE on a hot sunny day. We hope this ultimate guide on “How to Sell Stock Photos & Make Money” will help you on your journey to success. Great article and tips, thanks. I’ve had most success with Shutterstock. It’s a great platform to start out on. Great article and really useful information. I’ve been a stock photographer for over two years now and even though don’t consider myself as a professional have been able to reach a 1000$ per month income. Which can still be improved. If you are interested in some tips about making money as a stock photographer you can check my own post that explains some details in this field. Hi Ingus, thanks for sharing your experience as a stock photographer. Keep up the good work!